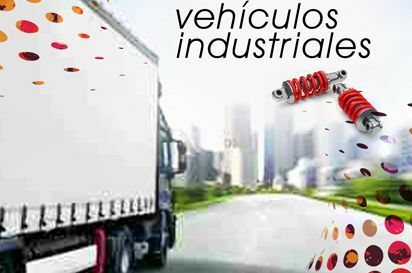 In conformance with the actions agreed upon in the latest technical-commercial meeting on the Industrial line, we present you the new range of products for painting industrial vehicles, which complements the current offer. BARPFOSF: Phosphatant primer filler with anti-corrosion properties: for all types of surfaces (aluminium, galvanized material, etc.). POLYURETHANE PRIMER 901: 2K polyurethane primer with maximum performance. H.S. ACRYLIC VARNISH 2K: 2K Transparent acrylic varnish for use as an anti-scratch finish in two-layer systems. Complies with the legislation on VOCs < 420 g/l. LACAPOL DYNAMIC: Acrylic aliphatic polyurethane enamel with a high content in solid material as well as excellent colour retention and brightness. Complies with legislation on VOCs. DUALCOTEX : 2K single-layer polyurethane with anti-corrosion properties and excellent behaviour in exteriors and brightness retention. Available in HS and LS qualities. ESMALTE CENIT: Synthetic enamel based on modified alkyd resins with a good performance for exteriors. Thanks to our paint mixing system, we can now prepare RAL, NCS, UNE colours, among others, in different qualities for Agricultural machinery, lorry chassis, civil works, etc. Tailor-made formulation of colours with utmost efficiency.